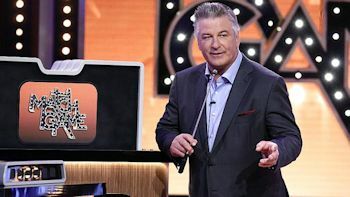 Alec Baldwin and Anthony Anderson are returning for new episodes of their successful game shows, both produced by FremantleMedia North America, Match Game and To Tell the Truth. This summer's game-show darlings are warming up winter with an expanded list of celebrity guest panelists. The new episodes of Match Game begin on January 4, 2017, and To Tell the Truth on January 1, 2017. Both will be giving short winter breaks to ABC dramas like Designated Survivor and Once Upon a Time. Match Game returns for season two on Wednesday, January 4 at 10:00pm EST, with Golden Globe and Emmy Award-winning actor Alec Baldwin. The series features four contestants each week vying for the chance to win $25,000, as they attempt to match the answers of six celebrities in a game of fill-in-the-missing-blank. Celebrities for the new season are still to be announced, as tapings for the winter edition just wrapped a few weeks ago. 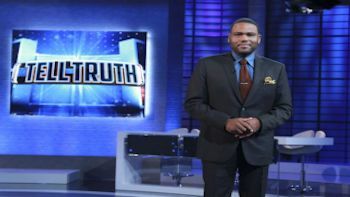 Two-time Emmy Award-nominee Anthony Anderson is back to host a second season of ABC's hit series To Tell the Truth, premiering Sunday, January 1 at 9:00pm EST and then on Sundays from 8:00-10:00pm EST, on the ABC Television Network. The game show is a clever and funny re-imagination of the beloved game show of the same name. In its second season the show will feature a new celebrity panel for each episode. In each round, the celebrity panel is presented with three people who all claim to be the same person with the same incredible talent, job or achievement. One is sworn to tell the truth while the others are not. Anderson's mother, Doris, is also part of the fun, returning as a commentator and bringing their playful family dynamic to the stage. Panelists for season two include Tom Bergeron, Lara Spencer, Rachel Platten, Ashley Graham, Craig Robinson, David Arquette, Cheryl Burke, Jalen Rose, Iliza Shlesinger and many more. Both shows are expected to get a short winter run and then return in the summer with other ABC hit game shows such as Celebrity Family Feud and $100,000 Pyramid. Freeform announced the cast of scripted comedy pilot Brown Girls from writers Shilpi Roy and Nastaran Dibai. The pilot will go into production in early 2017. Hina Abdullah (The Last Ship, Young & Hungry) portrays Rimmi, a fashion-forward young woman, who's trying hard to ignore her heritage and launch her own makeup vlog. Told by her mother that she needs to connect with family friend Devi, Rimmi is put off by someone who seems to be her complete opposite. 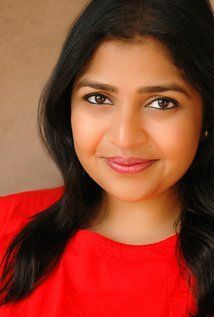 Punam Patel (Kevin From Work) stars as Devi, a traditional young woman who is new to LA. Confident, yet content with her traditional values, Devi reaches out to Rimmi upon arriving in town and is not impressed with Rimmi's quest for Internet fame. Additional cast for Brown Girls will be announced at a later date. The pilot centers on the relationship between Rimmi, an Indian-American aspiring beauty vlogger, and Devi, a young woman who has recently emigrated from India. Brought together by family, Rimmi and Devi instantly clash over their different views on modern life and love while slowly realizing they both have something to learn from one another. Brown Girls is written by co-executive producer Shilpi Roy (Hipsterhood) and executive producer Nastaran Dibai (According to Jim), and is executive produced by Tracy Katsky, Aaron Kaplan and Dana Honor.